… and then we found ourselves on one of the most beautiful places on the PLANET. 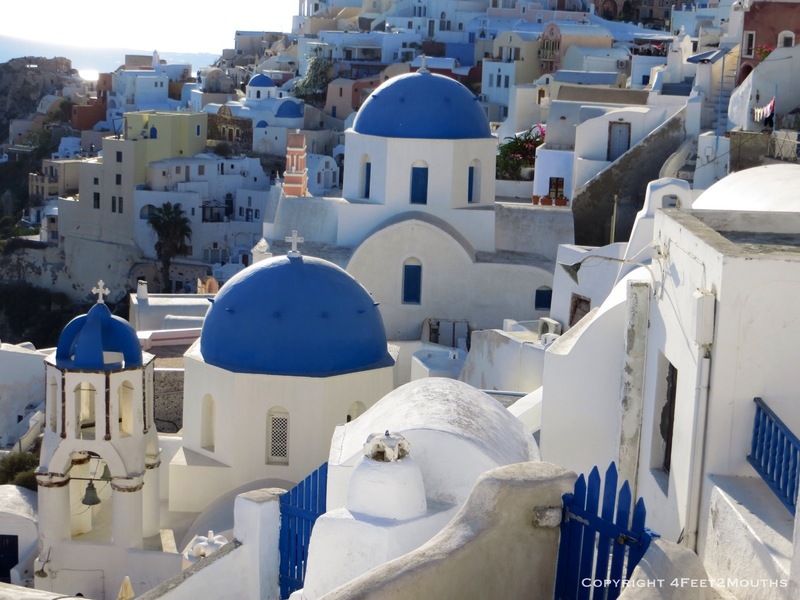 Santorini deserves all the hype, all the magazine cover shots, and all the glory because it truly is a spectacular place. We arrived on a commuter ferry that chugged along the Mediterranean from Naxos. The arrival to this island was different than the others, everyone on the boat was anxious and giddy in anticipation. When the boat wrapped around the crescent tip of the island, people rushed to take photos. 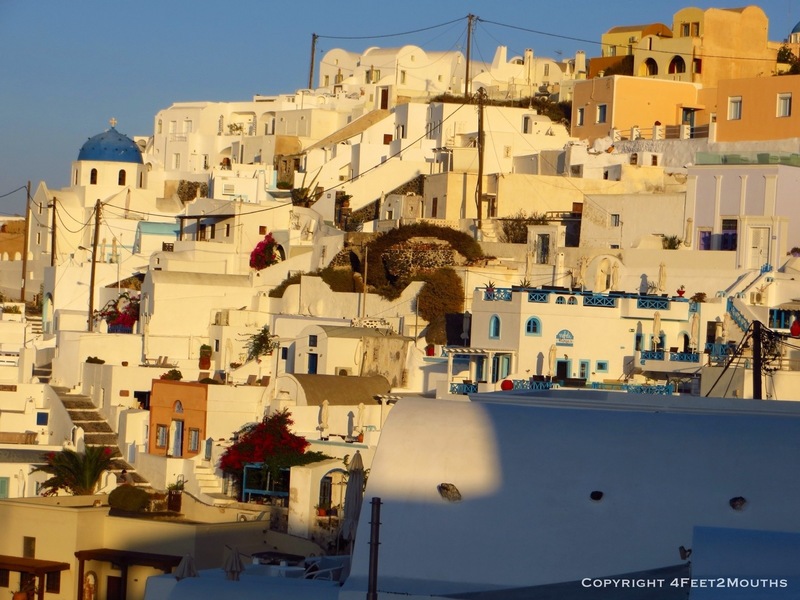 If there is such thing as hunger for sights, then there was definite drooling and jaw dropping as the curved white buildings that frosted chocolate colored cliffs came into focus. Carmen and I also became bleary eyed at the sights. Unfortunately for us we were already in island mode. 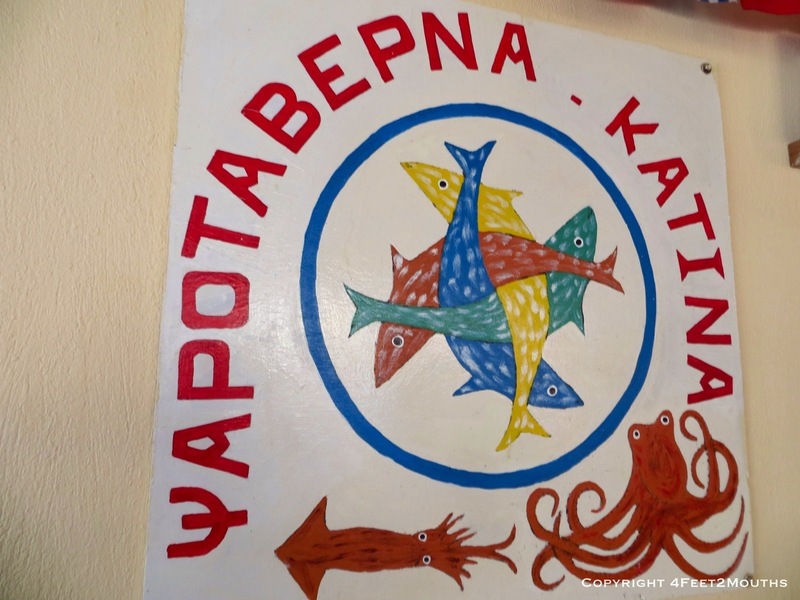 We slowly exited the boat, drifted over to the tourist office and chatted a bit for a map. We went back outside to board the public bus that climbs the steep switchbacks and we realize we missed it. And it was the last bus of the day. 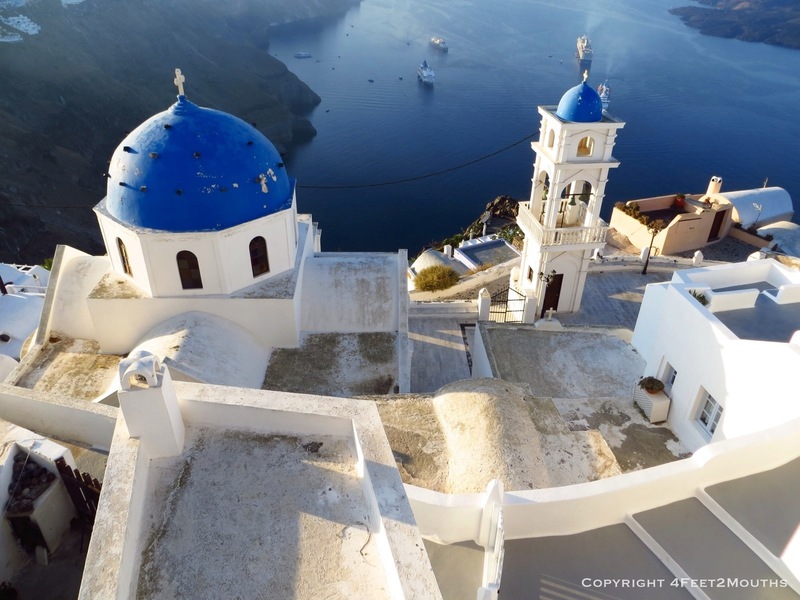 A moment of panic when understanding hits us that the closest city of Fira is too far to walk and taxis are expensive because we are the last tourists on the port. 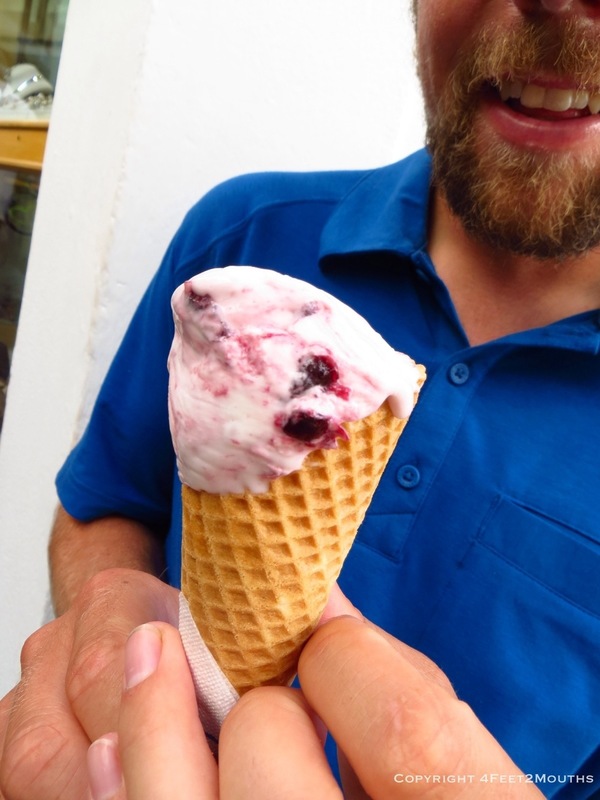 We work out a deal with a hostel owner for a one night’s stay and a free shuttle to Perissa. Not exactly our plan, in fact, it is on the opposite side of the island from where we wanted, but we load into the van and set off for a spontaneous adventure. As expected, Perissa wasn’t our style. 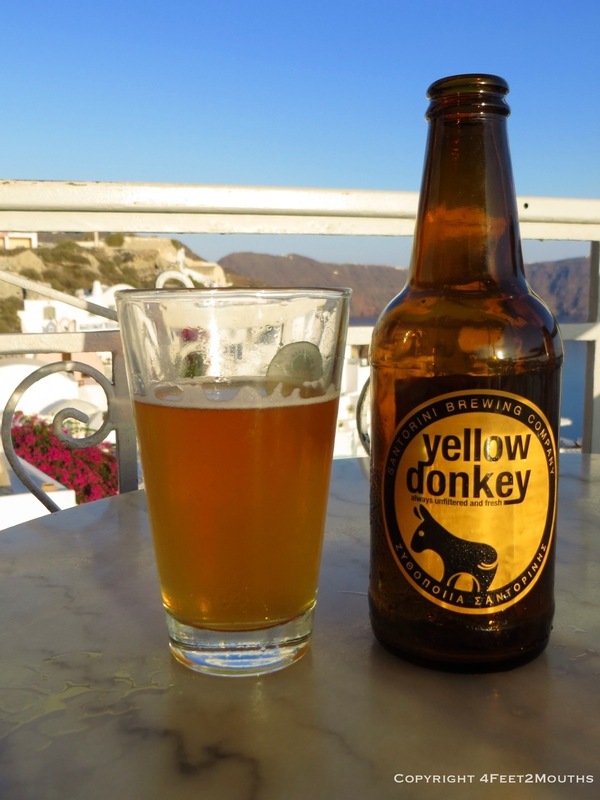 The resort-like cafes and lawn chairs in the black sand were beautiful, but we came to Santorini to see the magic of a civilization that lives and dies along the volcano. The Minoans inhabited Thira (another name for Santorini) for thousands of years. Their civilization was immensely successful with tens of thousands of inhabitants throughout the Greek islands. Unfortunately all these great islands existed because of a dark past. This section of the Mediterranean is a boundary zone of the European and Asian tectonic plates. A volcano erupted around 1,600BC that wiped out their civilization. This was not just any eruption, it is the largest eruption ever recorded and documented by humans. The sound was so enormous that Chinese records describe the sound of it twice as the wave reached them from different directions around the world. Enormous amounts of material blew into the sky, the whole island grew a thousand feet taller and tsunamis expanded the havoc around the world. 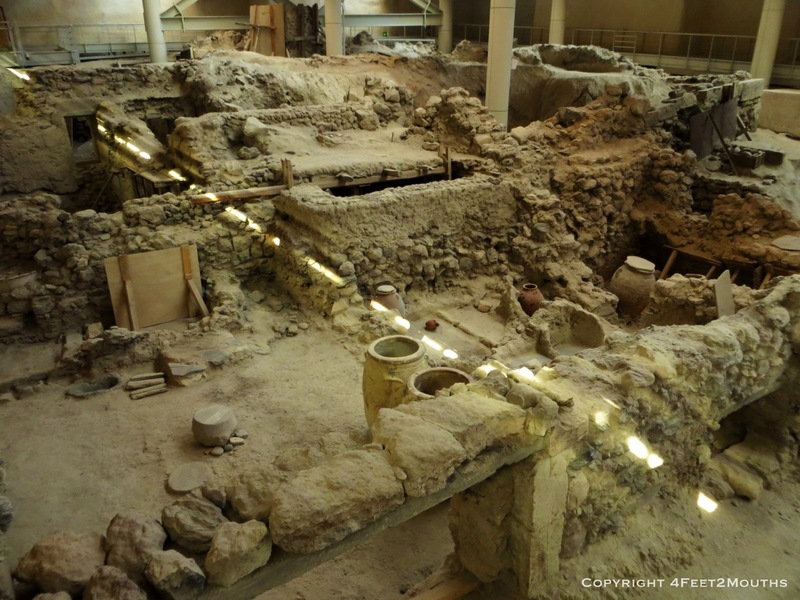 Akrotiri was an ancient city on Thira. When the volcano exploded, the city was covered in thirty feet of pumice and ash. 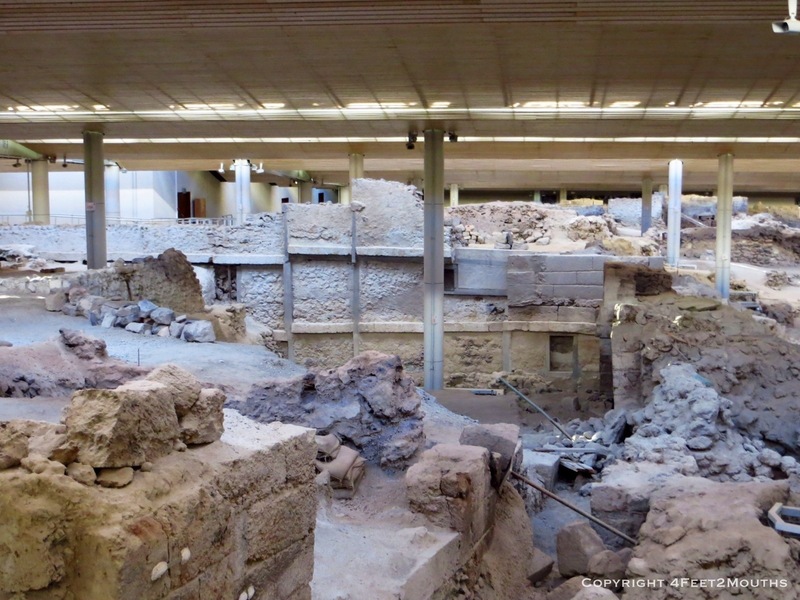 This rare circumstance allowed the what was left of the buildings, that survived the earthquakes before the eruption, to be remarkably preserved for 3,500 years. 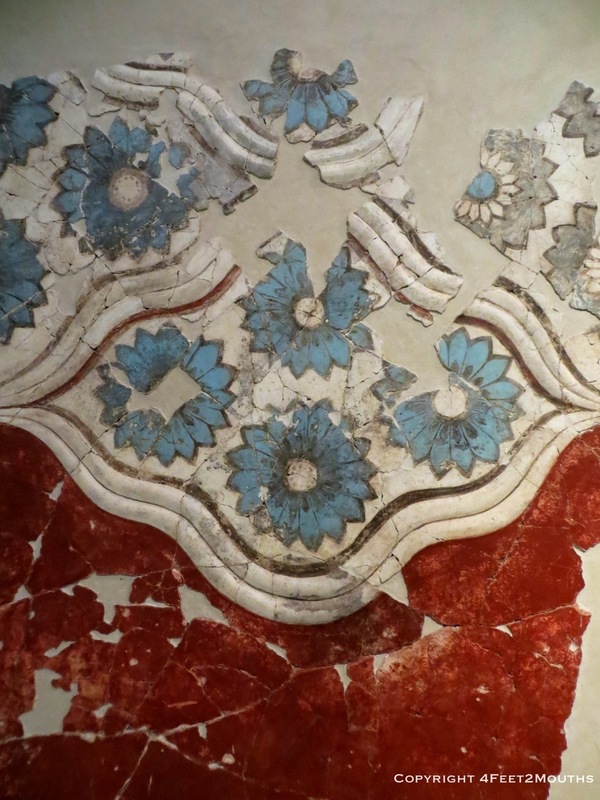 The city was discovered in the 1960’s and slowly they uncovered buildings and intertwining streets rich with painted frescoes, advanced multi-story buildings and sewer systems. This was an advanced civilization, and there are no records to their existence beyond this enormous volcanic event. 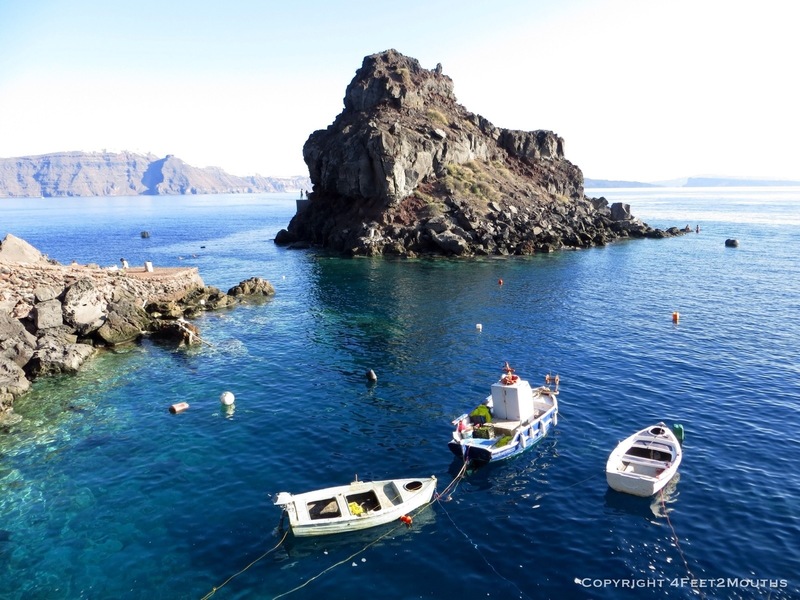 The volcano around Santorini has shaped and reshaped the islands for millions of years. Each explosion destroyed whole mountains and continued to build up the layers of Islands that remained. We took a boat to the center of the volcano; we walked on the cooling magma center. Standing on the foreign landscape is surreal, perfectly silent and covered in jagged dark brown rocks. 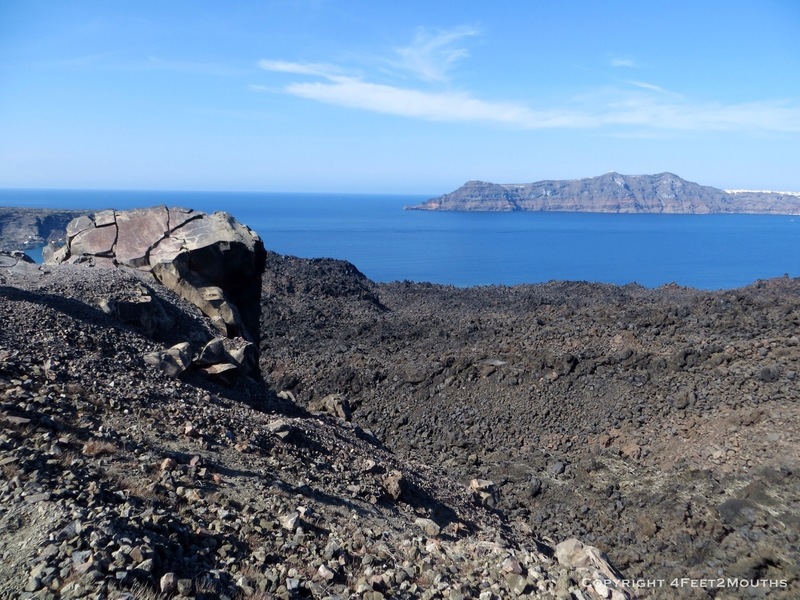 There are small craters on this island showing minor eruptions, but it is the whole group of islands, the caldera that is many miles wide that shows the enormity and unrelenting unimaginable power of the earth. The cliffs communicate this history with portions of black crumbly stone, or jagged red boulders or loose pock-marked ash and pumice. And like all beautiful, but dangerous places, the people eventually forgot the catastrophic event and they reinhabited the island. 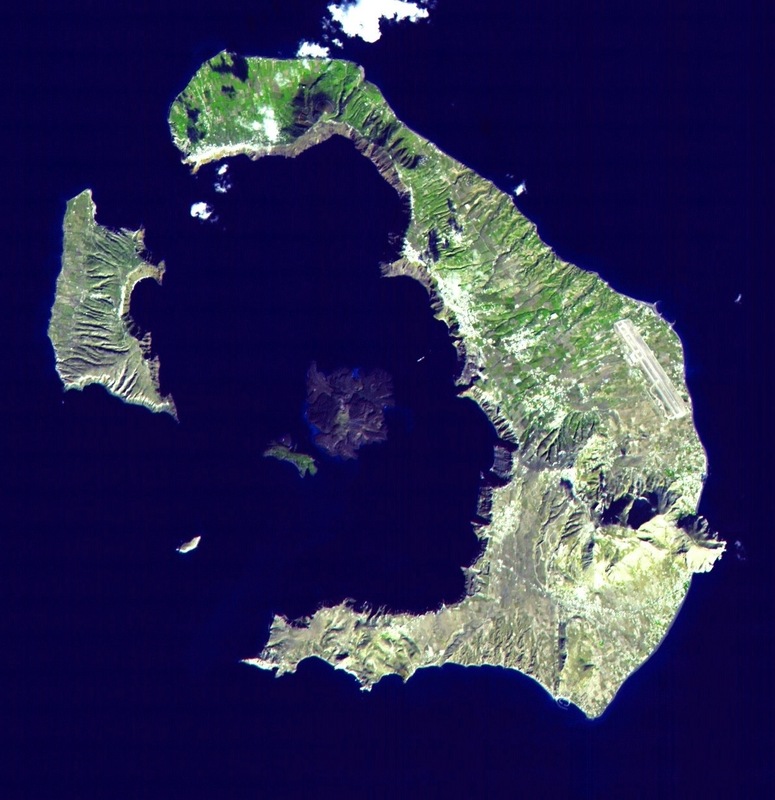 Fira is the main city on the island. 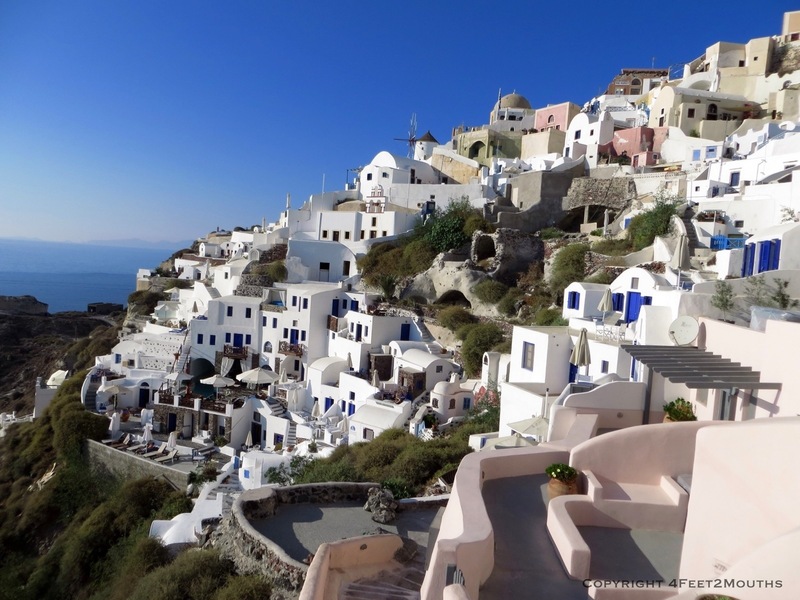 It is built on the cliffs in the middle of the crescent-shape and the city is packed with thousands of cute whitewashed buildings that curve and flow with the contours of the mountain. There is a beauty in the haphazard construction of all these buildings right on top of one another. Stairways twist and weave in between the buildings, paths start and stop almost randomly, and buildings occupy every little bit of space. I may even make the jump to say that the buildings on the steep slope remind me of a favela. Trash free, plastered and painted with sewers; Rio could make its densest neighborhoods into high-end real estate. We drank locally brewed beer on a picturesque patio. 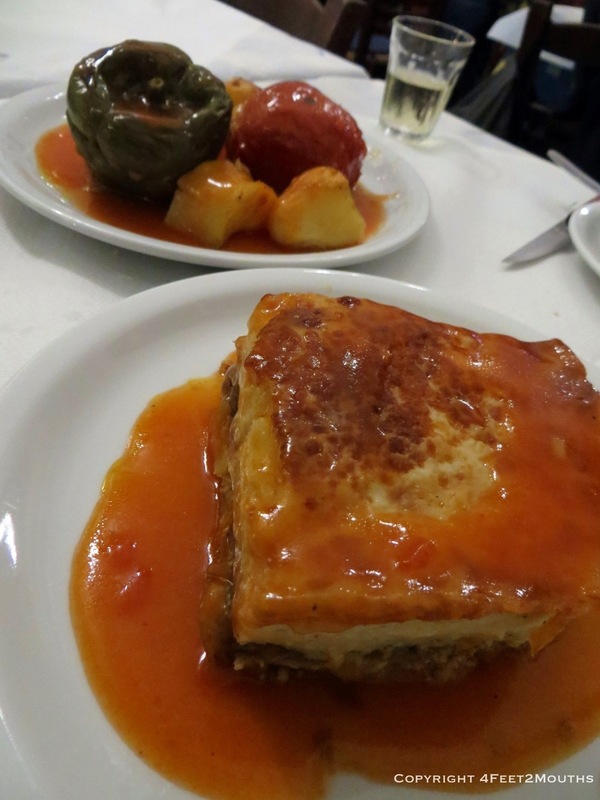 There was moussaka, and kleftiko dinners paired with wine and of course ice cream rewards for those climbs up the steep path from water to city. 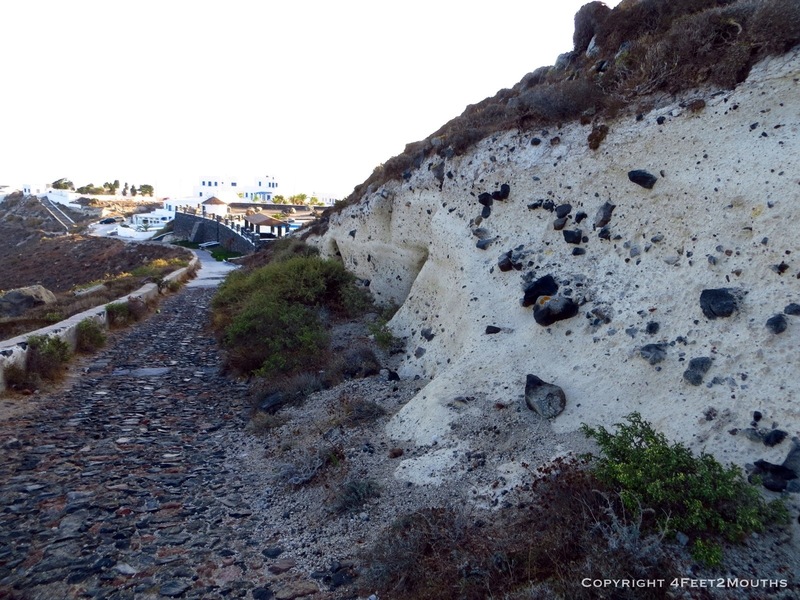 An essential activity for any visitor to Santorini is to walk the ridge line of the island. 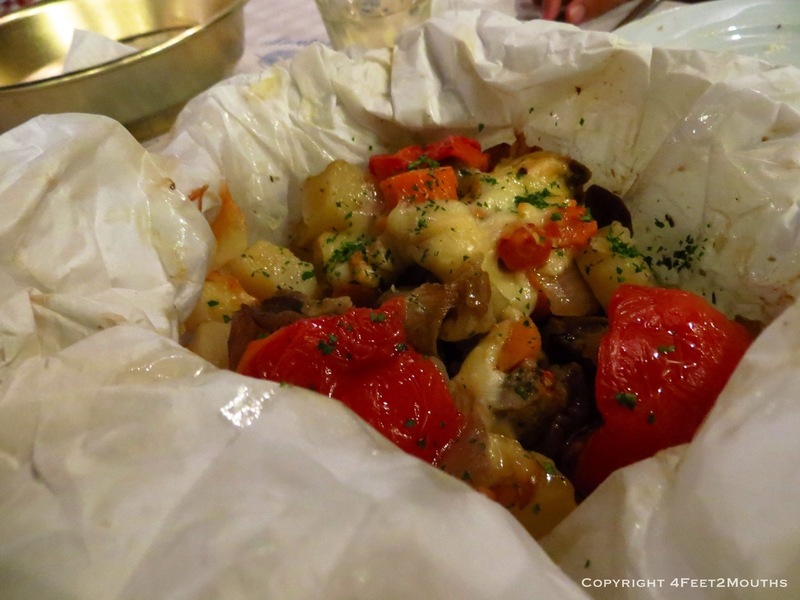 The end points of the walk are Oia and Fira and it is about 12km (8mi). 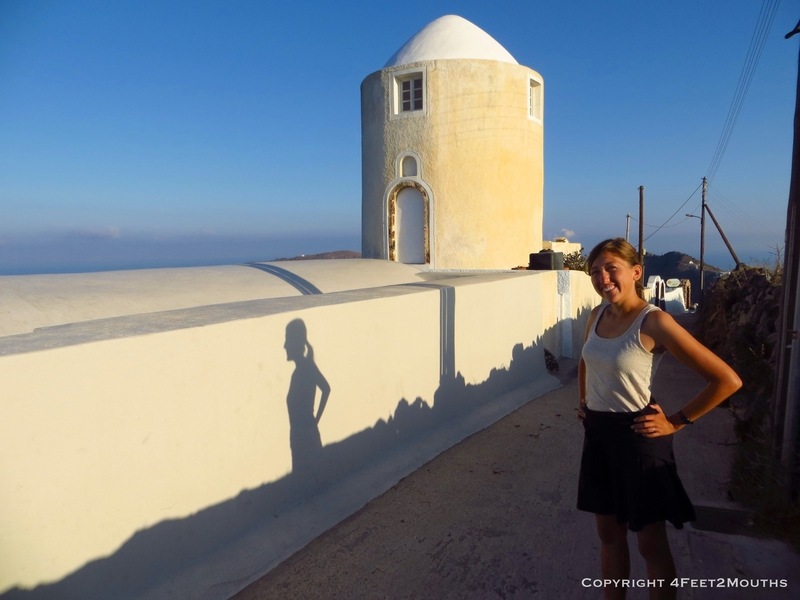 We walked it one morning starting at Fira at sunrise with a destination of Oia for lunch. The path works its way through Fira, into the picturesque Firastefani. Outside of town the dirt and cobblestone path follows the ridge and cliff’s edge allowing for endless views around the island. Occasionally a small lonely chapel appears on the path, a remnant of a gracious sailor who braved a storm and lived to fish another day. 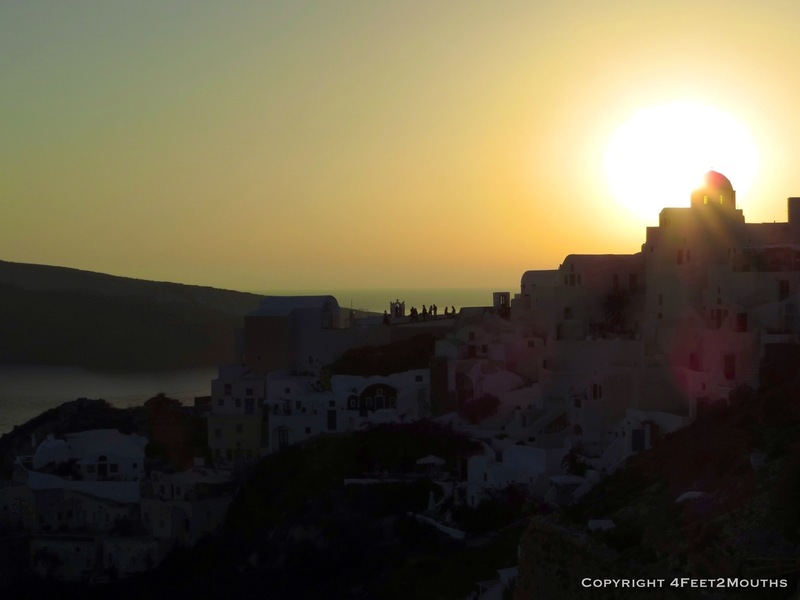 The sun beats hot on our backs and slowly the buildings of Oia come into view. 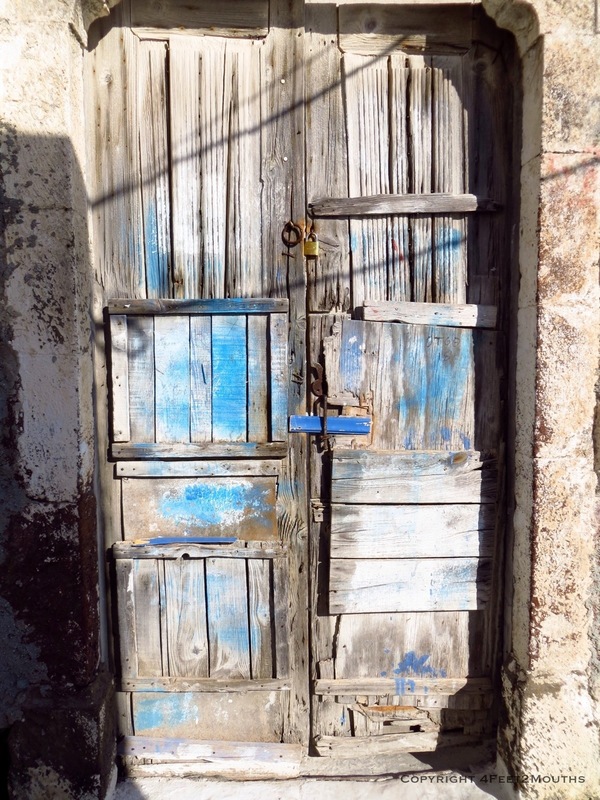 Walking into Oia, is strange and exhilarating, it is hard to believe that a town can be so gorgeous. 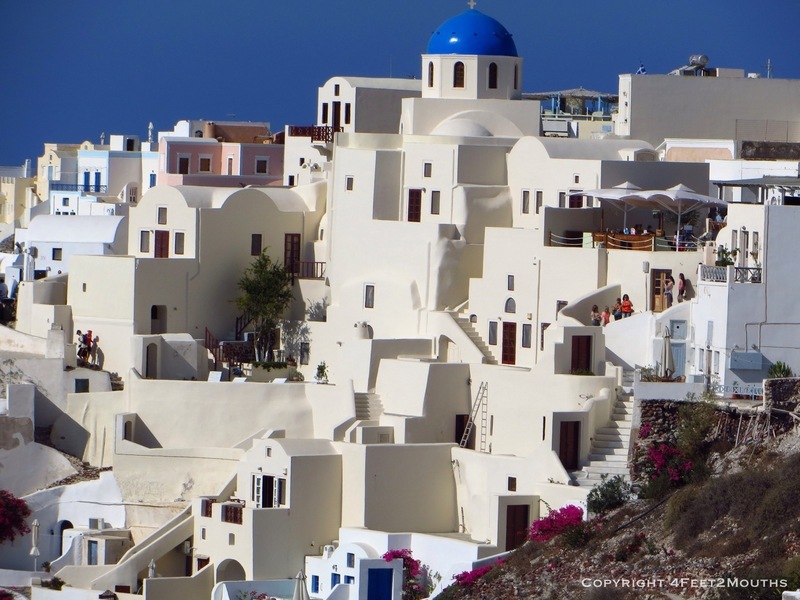 Every building has a dome or a curved arch or rounded balcony; straight lines are the minority which creates a natural and harmonious addition to the glowing Mediterranean sea below. 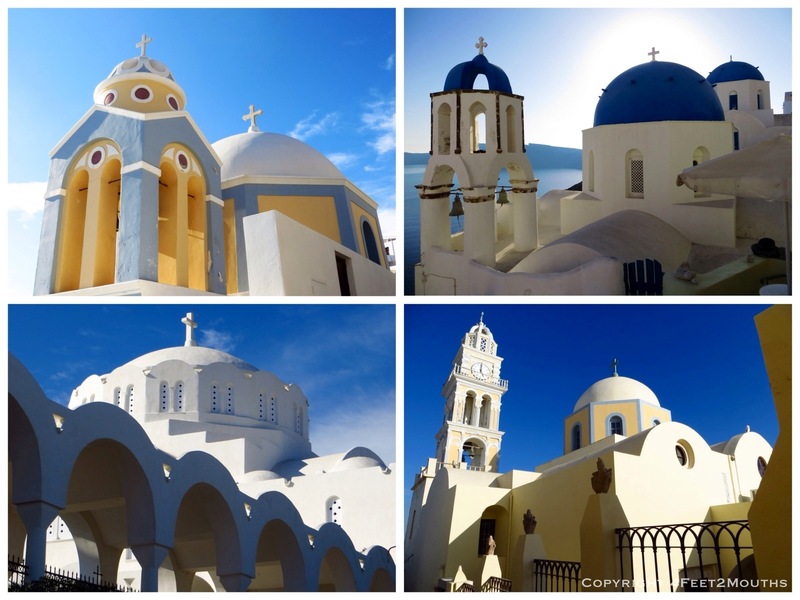 Churches with their bright blue domes scatter the cityscape and every surface that is not a walkway is a patio for sunbathing. We decided to walk down the several hundred stairs to swim and grab lunch in the tiny marina. 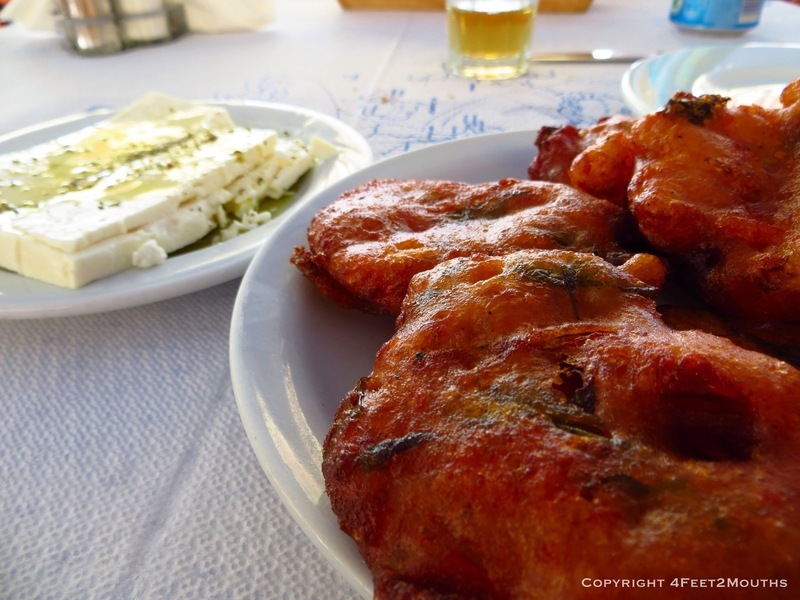 Katina served us delicious tomato fritters, a hunk of feta cheese and a grilled whole fish. We walked left from the harbor to a tiny beach overlooking a small island. The water was cool, but not cold, turquoise and crystal clear. 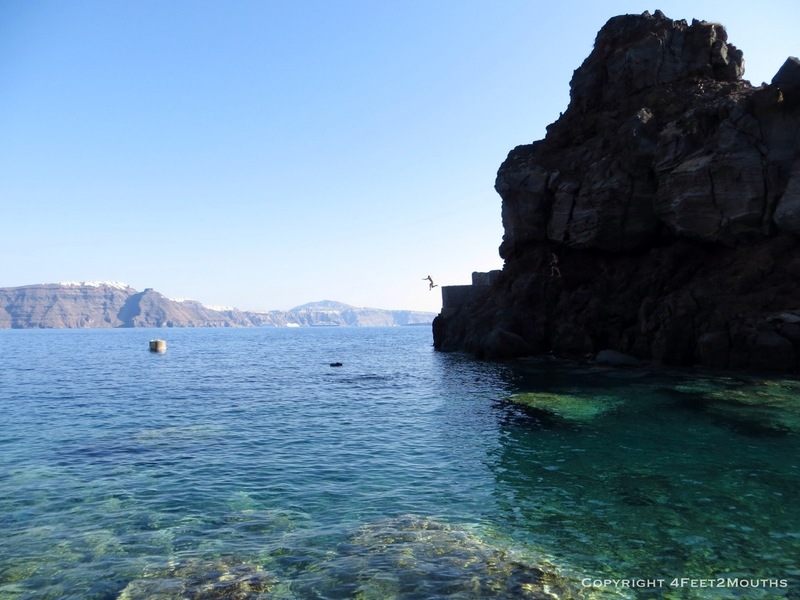 There is a thrilling concrete platform on the side of the island that made it possible to cliff jump into this beautiful water. Swimming in a volcano has never been so much fun. 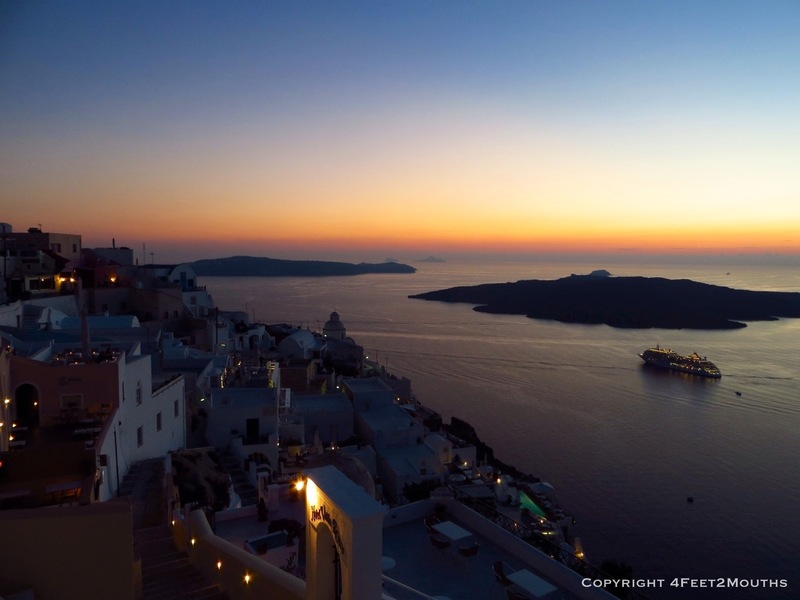 The challenge of any Santorini tourist is where to watch the sunset. 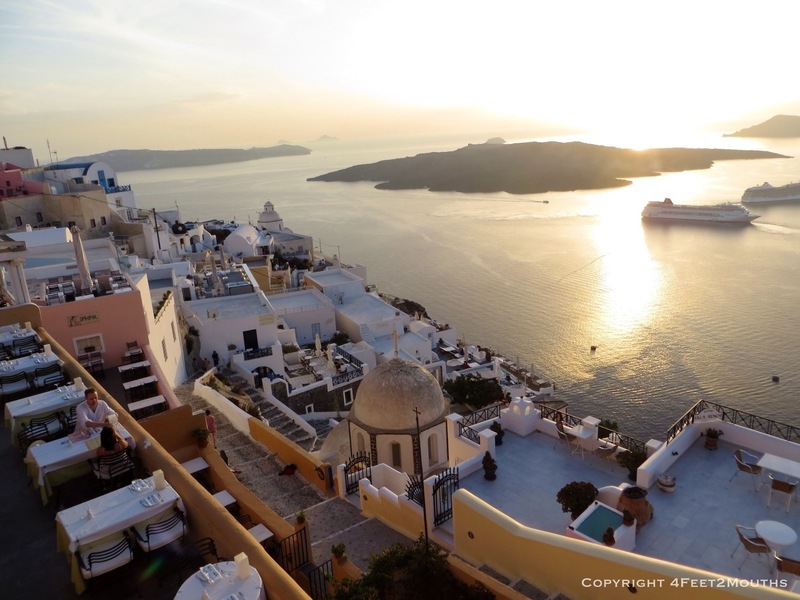 I love sunrises and sunsets (as you have seen), but the tourists on Santorini push and shove to get the perfect view of the sun hitting the water. A sunset in Fira showers the city in golden light, in Oia it is possible to stand on the ridge of a peninsula with all periphery consumed by sun, ocean and other camera-wielding tourists. My favorite was Firastefani, a tranquil setting with a more local feel. 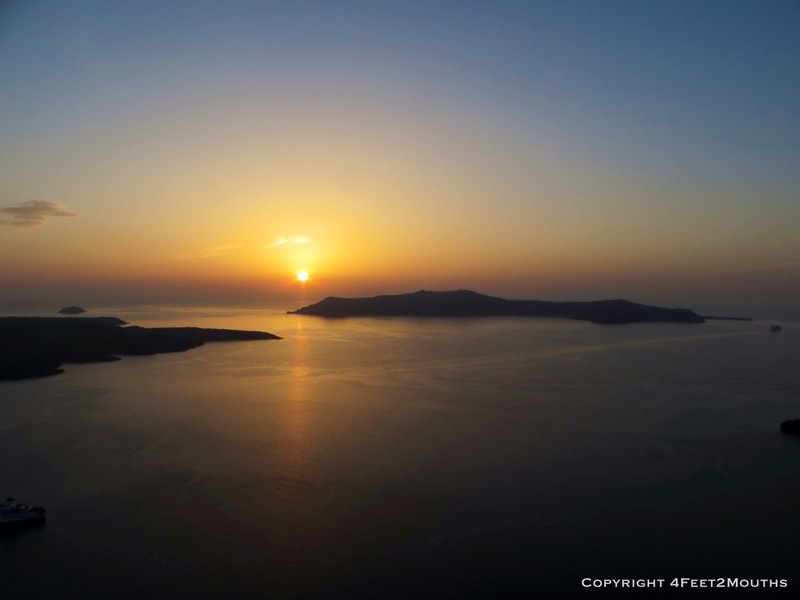 And the sunsets on Santorini are amazing and worth it. Perched high on a cliff we could see a world vast with beautiful ocean and a scattering of islands. It is hard to imagine a more beautiful place. 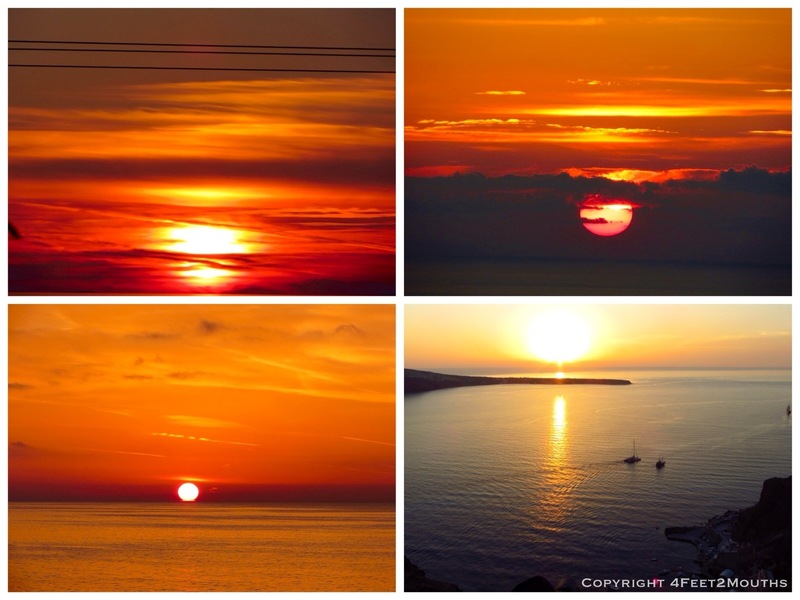 This reminds me of the sunset I saw in Cape Town, make sure to put that on your list on your next trip around the world.